The European Union Film Festival is back this year, with award-winning and Oscar-submitted films from 27 countries across the European Union. This is a unique film festival that showcases movies you won’t see elsewhere, not even at Bytowne Cinema. Ambassadors and filmmakers often introduce the films and mingle at receptions afterward, and there is definitely a foreign atmosphere that goes beyond English subtitles. A scene from the film Shifting the Blame, which will be shown on Nov. 28 as part of the European Union Film Festival. The movies are beautifully filmed, covering complex human dramas with undertones of social issues. One of my favourites is Shifting the Blame, which airs November 28 at 7 p.m. Check out the trailer here. This German film is director Vita Lars-Gunnar Lotz’s first full-length movie and is a complex, gripping and tender story of a young criminal, Ben, who eventually comes face to face with one of his victims. The immediacy of the action coupled with the intensity and brevity of the opening scene of the film are contrasted with slow, long scenes and moments of silence. The strength of the cinematography and choice of music balance the difficult social themes addressed in Shifting the Blame. In an interview, Lotz says that “in the beginning there was only an idea, to do something on social workers.” From there, he visited a house that was an alternative to juvenile jails, giving him the setting for Shifting the Blame. 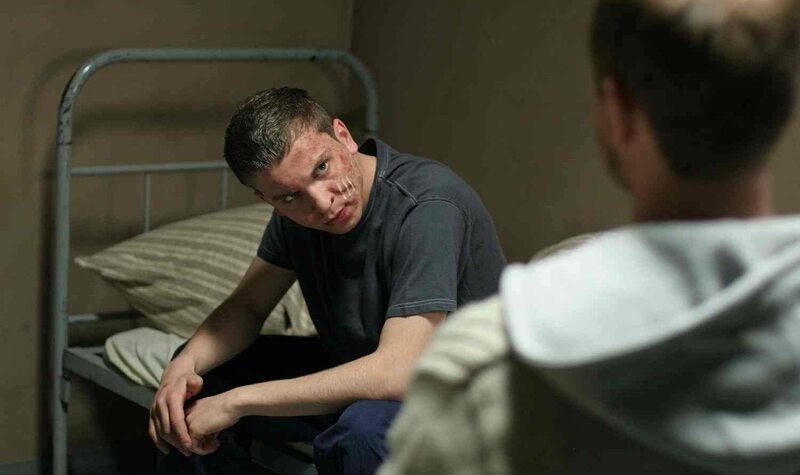 The main character, Ben, shown in his prison cell. “It was my mission not to tell of hopeless cases and violent ‘animals’, as they’re often branded,” says Lars-Gunnar Lotz of young offenders. “I wanted to show what it means when you stand by them and confront them with their crimes.” This is certainly one of the strengths of the movie, coupled with touching performances by the leads, Ben, played by Edin Hasanovic and Eva, played by Julia Brendler. The characters feel very real, so do their situations, their psychology and their development. From beginning to end, this film brilliantly showcases the dichotomy between offender and victim, anger and guilt, rage and forgiveness. Shifting the Blame will be screened at Library and Archives Canada (395 Wellington St.) as part of the European Union Film Festival on Thursday, November 28 at 7 p.m.